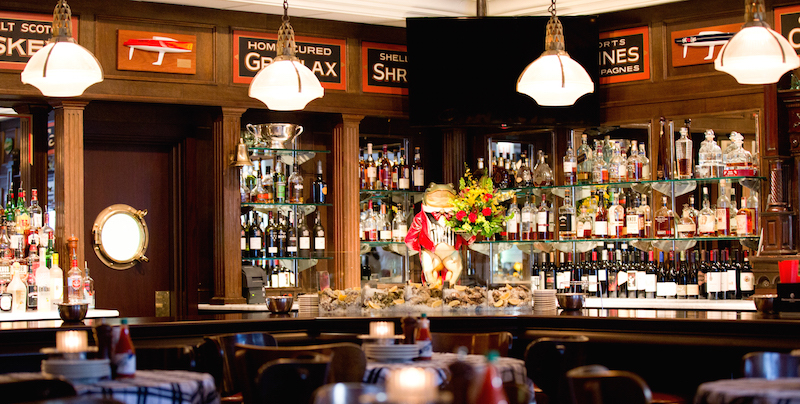 Hugo’s Frog Bar & Fish House is a Chicago institution, the quintessential downtown seafood experience located in the heart of the Gold Coast neighborhood on famous Rush Street. Nearing 20 years as one of Chicago’s most iconic dining destinations, Hugo’s Frog Bar & Fish House first opened doors in February 1997. 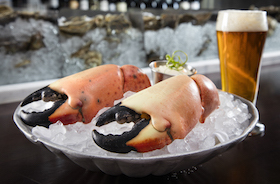 After operating Chicago’s best steakhouse next door for six years, Gibson Restaurant Group partners Steve Lombardo and Hugo Ralli decided to open the city’s finest seafood restaurant. They have succeeded admirably. Under the direction of award-winning Corporate Executive Chef Randy Waidner, the restaurant receives and serves the freshest seafood available to guests daily. 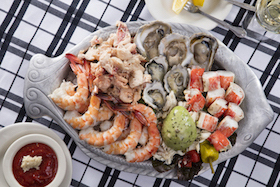 The seafood haven has become a go-to neighborhood staple for locals, visitors and celebrities alike, serving as Chicago’s foremost spot for premier east and west coast oysters, crudos, frog legs, lobster and fish, in addition to USDA Gibson’s Prime Angus steaks and chops. 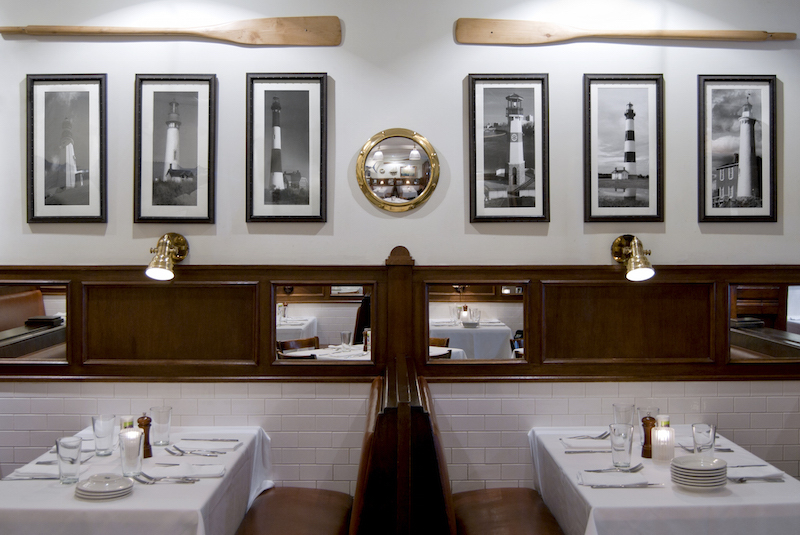 We reveled in chowder and lobster bisque, briny $1 oysters, lobster tails and Alaskan king crab which is flown in daily. Then we tried the pan-fried grouper, jumbo lump crab cakes, and some sautéed frogs’ legs. We finished with a perfectly grilled Porterhouse steak. Heaven. And the service was dazzling, friendly and sharp. The restaurant has three locations in Chicago, Naperville and at the Rivers Casino in Des Plaines. Hugo’s Frog Bar & Fish House on Rush Street is open for dinner daily at 3p.m. Reservations may be made by calling (312) 640-0999. For more information, visit http://www.hugosfrogbar.com. Like Hugo’s Frog Bar & Fish House on Facebook, and follow @HugosFrog on Twitter and @HugosFrogBar on Instagram.